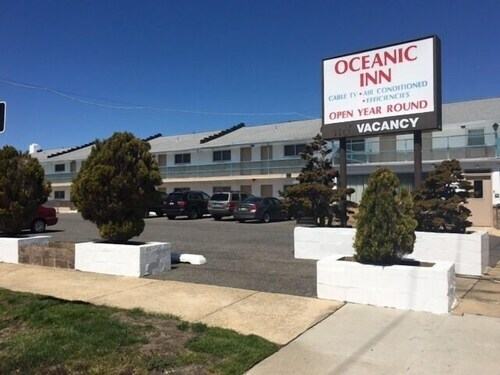 Situated near the beach, this motel is within 1 mi (2 km) of Asbury Park Convention Hall and Asbury Park Boardwalk. Belmar Beach and Boardwalk is 2.9 mi (4.7 km) away. shower floor couldve been cleaner but overall ok. room was clean. quick check in and check out. The room was clean and comfortable, the only problem is they have to replace the coffee pot in the room it’s too old and used up. New Jersey is a state of contrasts, with views of New York City skyscrapers and 150 miles of sprawling beaches and quaint coastal towns. 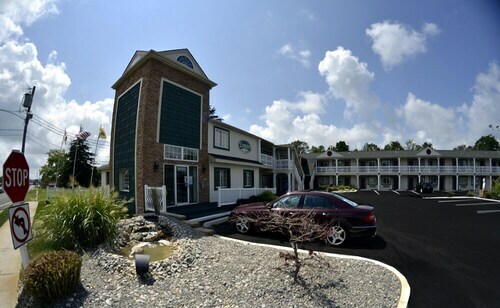 Located between Boston and New York, it's a convenient East Coast vacation destination. 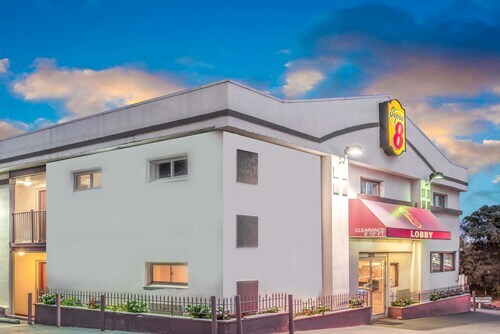 There are hotels in New Jersey to suit every taste and budget, so book in advance to experience your dream vacation. New Jersey has so much to offer travelers. For a relaxing vacation, historic Cape May, with its beautiful beaches, gorgeous Victorian homes, and famous Cape May Point Lighthouse, is the ideal destination. For family fun, try the Jersey Shore—the place, not the TV show! 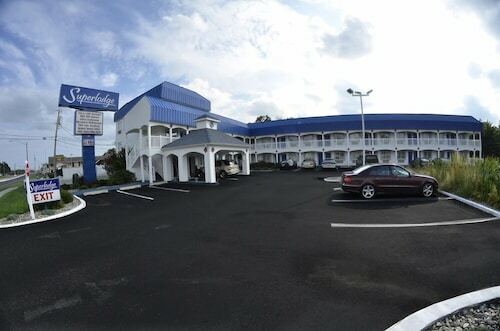 Wildwood, with its great beaches, amusement park, and water parks, is also a popular destination. 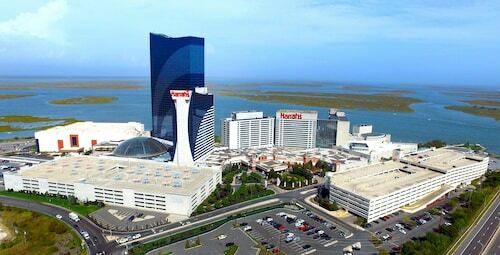 And don't forget Atlantic City, with its famous casinos, for memorable grown-up fun. 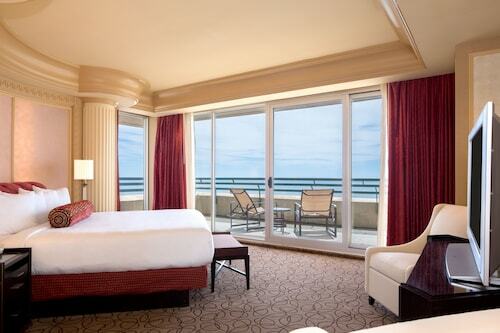 You'll also find some of the best New Jersey hotels in Atlantic City, with world-class accommodations. 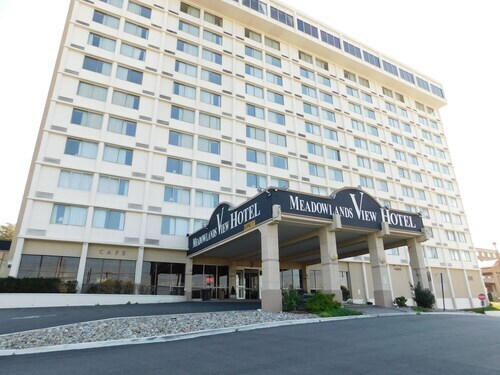 Hotels in Atlantic City also feature some of the state's finest restaurants. After a day of sightseeing, swimming or gambling, stroll along Atlantic Avenue, Pacific Avenue, or the boardwalk, and you'll have your pick of French, Italian, and seafood restaurants. Cape May is also known for its excellent cuisine, which features local seafood and farm-fresh ingredients. Ocean City's famous boardwalk serves up fantastic pizza slices and lobster rolls you can savor as you stroll along, enjoying the ocean breeze. The Outer Coastal Plain area is home to a number of excellent wineries, so a trip to Gloucester or Camden County to sample the local products is highly recommended. 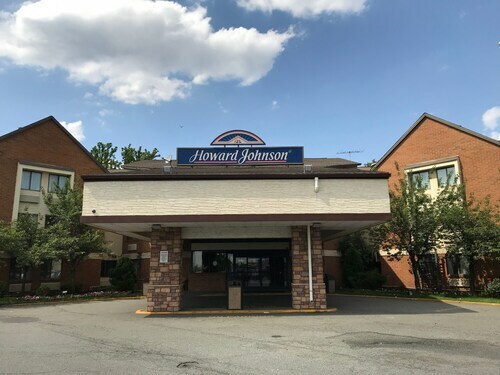 When you're ready to enjoy great food and great fun, Travelocity can help you book cheap hotels in New Jersey, as well as help you get the best deals on flights. With our price match guarantee, if you find a lower price anywhere else, we'll match it and refund you the difference. 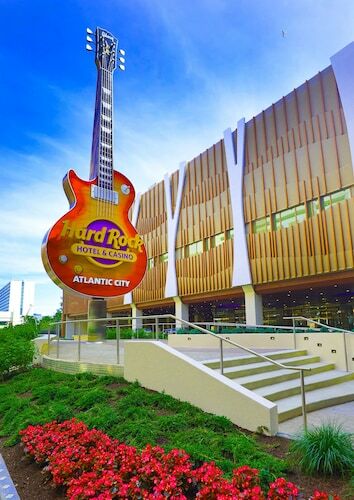 Need insider tips on must-see attractions in New Jersey? Check out our New Jersey travel guide! 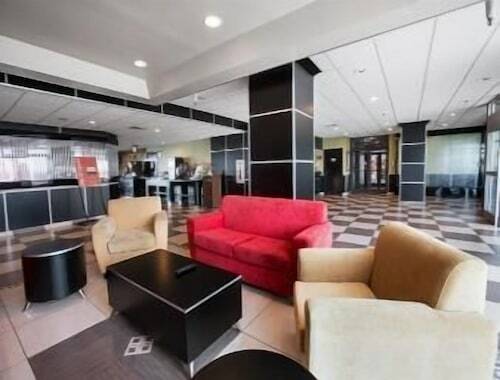 How Much is a Hotel Room in New Jersey? 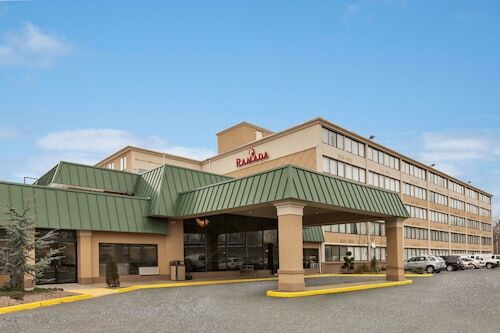 Hotels in New Jersey start at $14 per night. Prices and availability subject to change. Additional terms may apply. I didn’t like the room at all. Room had water damage ceilings sheets was dirty what look like old blood stain. We got the there 4 hours early. So we knew are room would not be ready Which is understandable. But when check-in time came and went by, we started getting sleepy and angry after a 4 hour walk. Everyone who paid though Wyatt room was ready and anybody Paid though something else wasn’t ready. It is very neat and clean. However there is no fan in the bathroom so after taking a shower the steam sets off the smoke alarm which is right outside the bathroom door. The pool and fitness room are the best we have ever seen in a hotel.